The population of Camden has shown little increase in the past five years, but mortgage payments and rental prices are on the rise, according to the latest Census. Figures captured in 2016 indicate the population of Camden has held steady at 3230, a decrease of only 14 people since 2011. Meanwhile, the age and income also remain largely unchanged, with more women than men continuing to reside here. Residents of Camden tend to be more mature than other Macarthur suburbs, with a median age of 42 compared to the state and national medians of 38. For Camden this represents a median population that is two years older than it was in 2011. And, unlike other suburbs where the gender ratio is nigh on 50:50, there are significantly more females than men. In 2016, the gender split was 52.9% females compared to 47.1% men. In 2011, the situation was similar, with 52.4% females and 47.6% males. When it comes to age breakdown, 17.9% of the population is aged 0-14, while 23.3% are aged over 65. Of those 15 and above, 42.3% are married, 30.2% have never been married, 12.2% are divorced, 11.3% are widowed, and 3.9% are separated. The majority (63.7%), however, live in family households. A further 33.9% live alone, while 2.4% live in group situations. Of those family households, a small majority (41%) comprise couples with children, and they have on average 1.8 children each. Meanwhile 37.6% are couples without children, and 20.1% are single parent homes. With a median weekly household income of $1379, Camden residents have an income slightly below the national and state norms. In NSW the median is $1486, and nationally the median is $1438. But this does represent a marginal rise for Camden from 2011, when the median income was $1188. It also indicates a region where the general wealth is rising. In 2011, 10.5% of residents had a gross weekly income of $3000 or more, but in 2016, 14.9% of Camden residents earned $3000 or more each week. Of that income, $2123 each month goes to a mortgage or $380 each week goes towards rent. These are both larger figures than Camden commanded five years ago. Then, only $2032 a month went to mortgages and $320 each week went to rent. Over two thirds of Camden dwellings are separate homes, and the majority comprise three bedrooms. This represents little change on 2011. At present 71.5% of the Camden housing stock is separate homes, 20.7% are semi-detached, and 7.3% are units or flats. Meanwhile 41.8% are three-bedroom homes, 25.8% are four bedrooms, 22.2% are two bedrooms, and 7.7% are one-bedroom abodes. And, in a figure that mirrors the Australian and state norms, the majority of properties (by a nose) are owned outright. The latest figures show 32.8% of Camden properties are owned outright, 32.5% are rented, and 31.4% are owned with a mortgage. This represents a slight rise in outright ownership since 2011, when 30.3% were owned outright, 33.7% were owned with a mortgage and 31.6% of properties were rented. Camden is a stable suburb that shows little demographic change in the past five years. 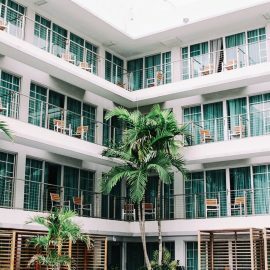 What is altering, however, is the value of property in the region, with mortgages and rent both on the rise. 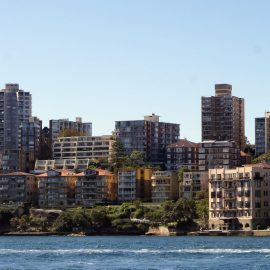 It reflects the reality that suburbs within proximity to Sydney are becoming more attractive to buyers and renters as the perimeter of potential increases around the CBD.